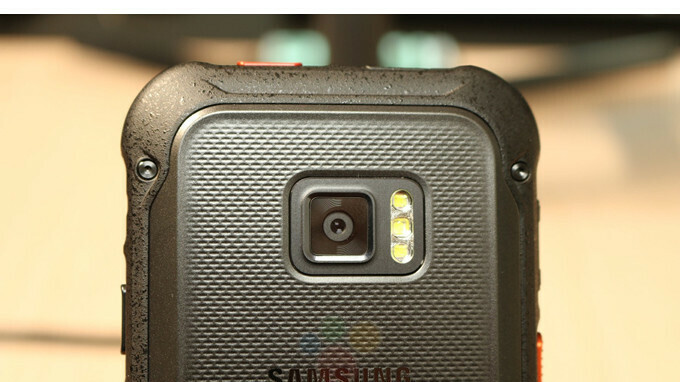 Samsung is definitely readying another rugged smartphone, which could either a Xcover or an Active model. A picture showing the back of a rugged Samsung handset has just popped up online, but it is yet unclear to what lineup the device belongs to. We are tempted to believe this is the Samsung Xcover 5 since it doesn't have a rear-mounted fingerprint sensor on the back like the Galaxy S8 Active. One thing that pops up at first glance is the triple LED flash, which seems a bit too much for a rugged smartphone (that if those are really LEDs). Obviously, we should also take into consideration that this is, in fact, the unannounced Samsung Galaxy S9 Active, but it's highly unlikely. Sadly, besides what you see in the picture attached to the article, no other information is available about the rugged smartphone. Still, we're confident that more details will emerge in the coming weeks, if not sooner. In other Samsung related news, The S9 Plus scored 99 in DxOMark! and yes, I pre-ordered one :) finally jumping in the Samsung hype train! Really? Link please. I'm hyped. I can see the triple LED being there probably because it's a rugged device, so it would have a better flashlight function compared to a typical smartphone.